The son of Joseph Hancock and Mary Meigs Taylor the brother of John Rodgers Meigs Taylor and the grandson of Montgomery Cunningham Meigs, he was born in Washington, D.C. on October 13, 1869. He graduated from the United States Naval Academy in 1890. He was appointed an Ensign, July 1, 1892; Lieutenant (jg), March 3, 1899 and thereafter promoted through the grades to Rear Admiral, October 1, 1922. He served on the USS Olympia during the Spanish-American War in 1898; commanded the USS Hopkins, 1903-05; the 2nd Torpedo Flotilla, 1905-06; the receiving ship USS Wabash, 1906-08; Executive Officer, USS Salem, 1908-09; USS Milwaukee, 1909-10; commanding USS Petrel, 1910-11; aide to Commandant, Navy Yard, New York City, 1911-13; commander, USS Buffalo, 1913-15; USS Baltimore, 1914; at the Naval War College, 1915-16; appointed commander USS Maine, June 27, 1916. Commanding, USS Florida, 1918-19; staff of the Naval War College, 1919-21; assigned as Commander, Control Force, 1923; Director of Fleet Training and commander of Divers in the Battle Fleet, 1930. He retired from the Navy on November 1, 1936. His medals included the Manila Bay Medal, Spanish-American War, Philippines Campaign Medal, World War I Victory Medal, Distinguished Service Medal. He died in Washington, D.C. on October 21, 1952 and was buried among other family members in Section 1 of Arlington National Cemetery. 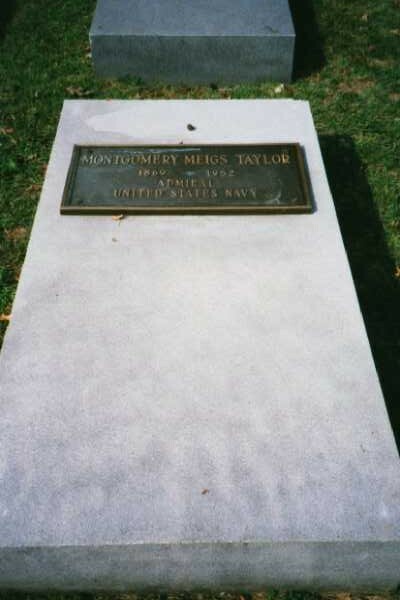 WASHINGTON, October 21, 1952 – Vice Admiral Montgomery Meigs Taylor, USN, who was commander in chief of the Asiatic Fleet when he retired in 1933, died today of a stroke at Bethesda Naval Medical Center. His age was 83. A native of Washington, Admiral Taylor attended public schools here and in 1886 was appointed to the Naval Academy by President Cleveland. He was one of the Academy’s outstanding football halfbacks. His first duty was aboard the USS Baltimore. As a young Ensign he commanded the five-inch batteries aboard Admiral Dewey’s flagship, the Olympia, during the Battle of Manila Bay. His gunners fired 350 rounds during that famous Spanish-American War engagement. Admiral Taylor commanded the Hopkins from 1903 until 1905 when he was given command of the Second Torpedo Flotilla. Later he served as executive officer of the Salem and the Milwaukee. He also commanded the Petrel, the Buffalo and the Maine. In 1917 he was attached to the Office of Naval Operations at the Navy Department here. The next year he received command of the Florida, operating with the Grand Fleet in the war zone. For that service he received the Distinguished Service Medal. For two years Admiral Taylor was on the staff of the Naval War College. Later he commanded the Fifteenth Naval District and the Naval Operating Base at Coco Solo, Canal Zone. He returned to Washington in 1912 as a member of the Naval Examining and Retiring Board. The same year he was appointed commanded of the Control Force, with additional duty as commander of all submarines in the Atlantic. 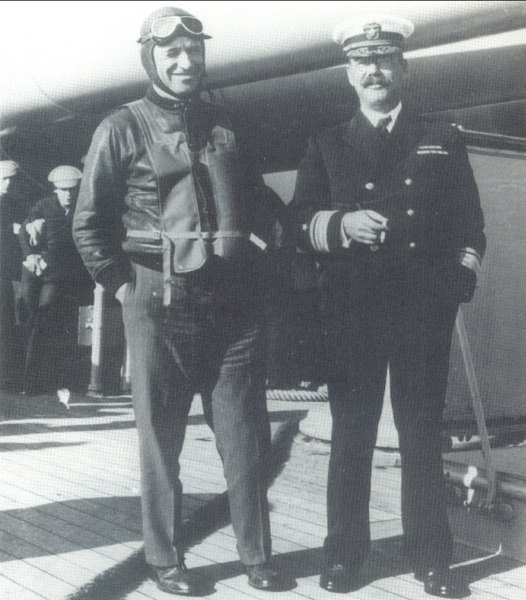 From 1925 to 1927, Admiral Taylor was director of fleet training at the Navy Department and afterward was in command of the Third Battleship Davison of the Battle Fleet. With his appointment as Vice Admiral he was made commander of the Scouting Fleet. Admiral Taylor was in charge of the War Plans Division of the Office of the Chief of Naval Operations from 1929 until 1931 when he became Commander-in-Chief of the Asiatic Fleet. In 1936 he was appointed to serve on the Maritime Commission. Admiral Taylor was a bachelor and a grandnephew of President Zachery Taylor. 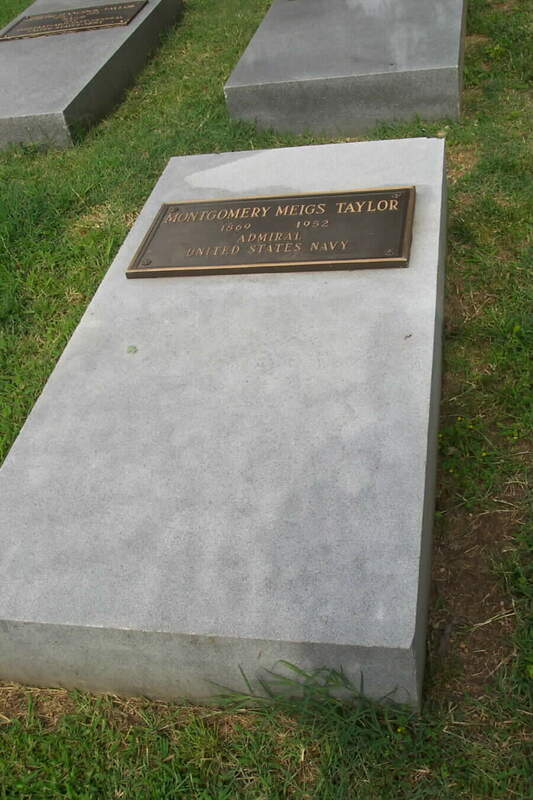 He was named for his grandfather, Montgomery C. Meigs, Quartermaster General of the Union Army during the Civil War.